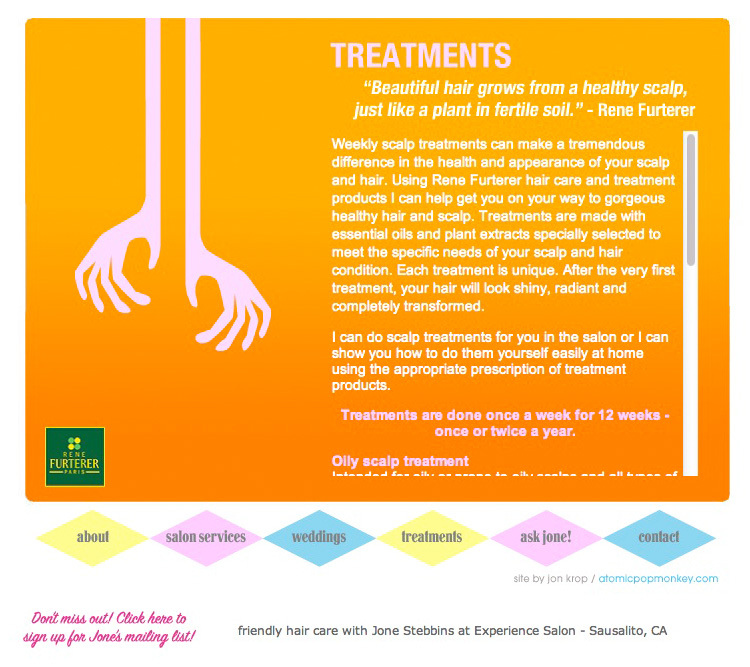 Jone came to me wanting a site for her Sausalito based hair styling business. 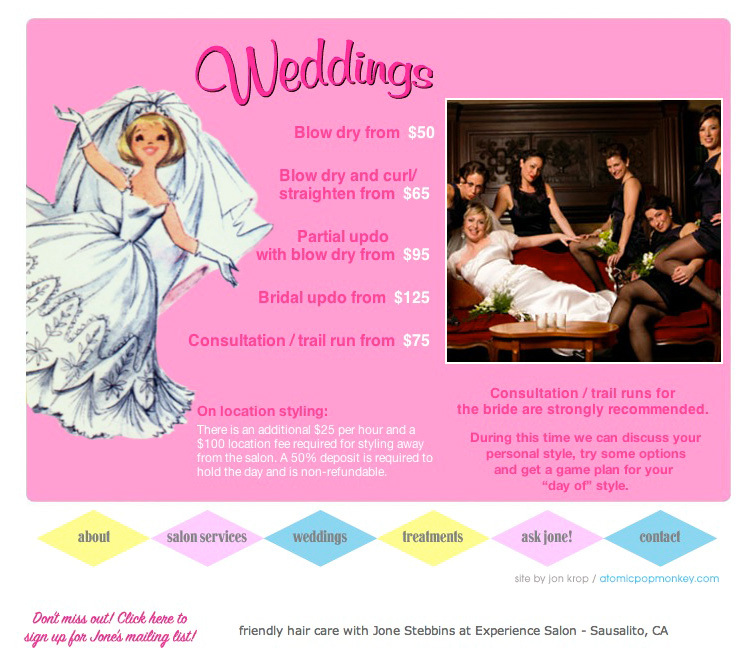 She wanted something lively, fun, with a retro feel to it. 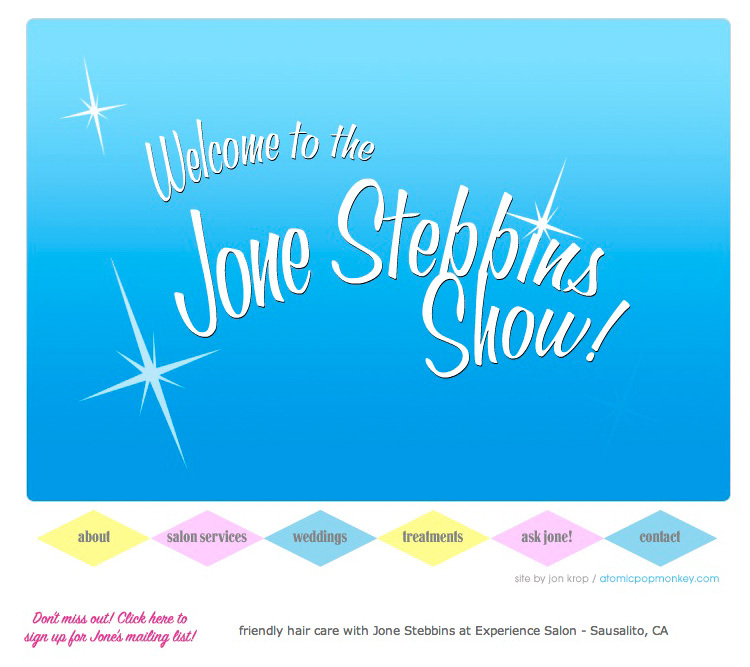 Using html5 based animation, I created an iOS friendly site that captures her fun and friendly personality.